Business View Magazine profiles Phenix City, Alabama, a city of 33,000, located in eastern Alabama on the banks of the Chattahoochee River. The cities of Phenix City, Alabama, and Columbus, Georgia, sit on opposite sides of the Chattahoochee River, which forms the southern border between the two states. Today, these two metropolises share a common desire to grow and prosper as family-oriented, forward-looking jurisdictions that also hope to become the nexus of a well-visited tourist mecca. But that has not always been the case. In those days, crime bosses ran the town, and some of the local authorities rationalized the city’s widespread corruption as being a necessary revenue producer in the absence of other businesses. Meanwhile, from time to time, some concerned citizens tried to fight back – often meeting with violent resistance from the gambling interests. For example, Hugh Bentley, a local businessman and Sunday school teacher, organized a group to clean up the city and had his house bombed as a result. A local attorney, Albert Patterson, who had moved to Phenix City in 1933, and who ran for the State Attorney General’s office in 1954 with a pledge to clean up the town, was assassinated outside his law office after winning the Democratic primary. In response to Patterson’s murder, Alabama’s Governor, Seth Gordon Persons, placed the town under martial law and National Guardsmen performed around-the-clock raids on nightclubs, warehouses, and gambling halls. Fort Benning declared Phenix City off limits to its soldiers. When Albert Patterson’s son, John, ran for, and won, the position of State Attorney General in 1955, he prosecuted those who were responsible for his father’s murder and by the end of the year, the town was rid of all organized crime and vice. After the city’s rehabilitation, Look Magazine named Phenix City as an All-America City in 1955, and in 2007, Businessweek named it the nation’s Best Affordable Suburb for raising a family. 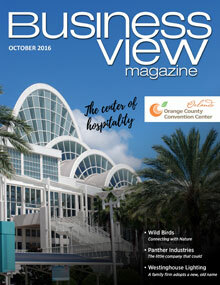 “We finally reached a new era and we decided that we needed to spend a lot more money in reinvesting and rebuilding our downtown, rebuilding our image, and increasing our efforts in tourism,” says Culligan. And that’s when Phenix City, with help from its sister city across the Chattahoochee, decided to move ahead on an innovative project that was 30 years in the making and what ultimately became the largest urban whitewater course in North America. “It was one of those pie-in-the-sky dreams that finally came true,” says Culligan. The Chattahoochee River Whitewater course opened in May, 2013 at cost of $32 million. The 2.5 mile course has Class II – Class IV+ rapids and was recently named one of the “Top 12 Greatest Man-made Adventures on the Planet” by USA Today. The team that developed it was the same one that constructed the kayak course on the Upper Ocoee River for the 1996 Summer Olympics. In order to get the Chattahoochee ready for the project, two upriver dams owned by Georgia Power and Alabama Power, but were no longer producing electricity, had to be removed. Once they were torn out, and the natural flow of the river returned, the design team modeled the riverbed in an indoor facility so that they would know exactly how to structure the course to make the water flow correctly. “Then they went in and diverted the water and constructed the bottom parts of the riverbed,” says Culligan; and always with an eye to safety. “A lot of rapids create what they call a ‘recycling rapid,’ which when somebody falls out into the water, it traps them in that rapid and they’re not able to get out. Now the riverbed’s been constructed in certain parts to push them through the rapids, so if they fall out of the boat, it will spit them right through the rapids. It makes it a really safe course.” When a dam further upstream releases more water, the higher flow increases the river’s speed, as well as the course’s difficulty. At times of low flow, the river calms down and less experienced or adventurous rafters can navigate it at a more leisurely pace. 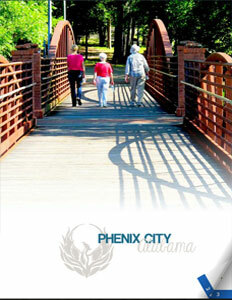 Meanwhile Phenix City is also working on developing both the area along the river as well as its nearby downtown core. Currently, there is $40-50 million worth of construction underway on the riverfront, including a new Troy University campus, a new Courtyard Marriott Hotel and Conference Center, and a renovated and redeveloped shopping center and parking garage. The 14th St. Bridge, over the Chattahoochee, has been transformed into a pedestrian bridge at a cost of $6 million. The Phenix City Riverwalk is a 1.21 mile structure on the western bank of the river that connects the city with Columbus’ Riverwalk on the other side and also hosts the 3,000-seat Phenix City Amphitheater. Phenix City, Alabama – rising from the ashes. Check out this handpicked feature on Campbell River, British Columbia – An economic renaissance.